On May 18, 2013, at about 2 a.m., the Arcata Police Department responded to the 2400 block of Eye Street on the report of gunshot victims inside the residence. A female victim was pronounced dead at the scene, the male victim was pronounced dead at Mad River Community Hospital. The Arcata Police Department conducted an extensive investigation with a suspect being developed. The investigation led officers to a residence located in the 200 block of Marilyn Avenue, located in the Sunny Brae area of Arcata. Upon initial contact with the occupants of the residence, the suspect was not located. A short time later, citizens in the area notified police of a suspicious subject in the 1700 block of Shirley Blvd., a short distance away from the Marilyn Avenue residence. Officers responded and located Bodhi Tree, 28 years old of Arcata. Tree was the homicide suspect sought by the police department and he was arrested. 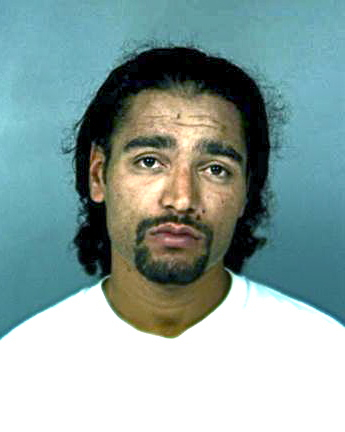 Tree was transported to the Humboldt County Jail and booked for two counts of PC 187–Murder. The homicide investigation continues and anyone with information is strongly encouraged to contact the Arcata Police Department at (707) 822-2424. This entry was posted on Saturday, May 18th, 2013 at 4:37 pm	and is filed under News. You can follow any responses to this entry through the RSS 2.0 feed.